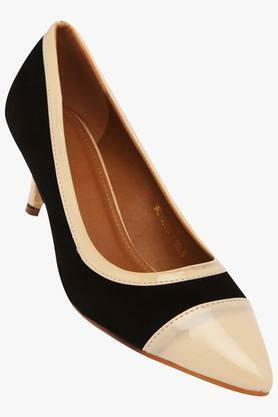 Satiate your love for fashion by wearing this pair of heeled shoes brought to you by Van Heusen. It has a thermoplastic rubber sole that makes it slip resistant while the use of synthetic leather in the upper part lends it a sleek finish. 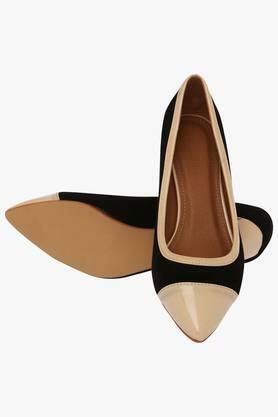 Further, the pointed toe adds to the design. 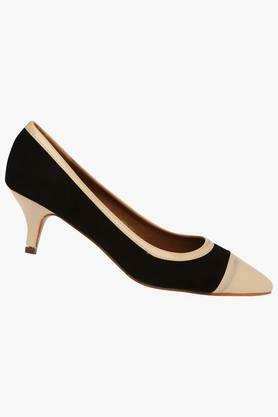 Express your style better by wearing this pair of heeled shoes with your favourite dress. Featuring a slip on style, it will be a great choice for casual occasions.